While we were cleaning out the last of the random straggling items in our cupboards, we came across a lot of old food. As you know, I hate throwing away anything. We found old opened bags of lentils & pearled barley. My husband was going to throw them out, but I stopped him because of course, they would be great for crafts. I got the usual eye roll, but he packed them up all the same & took them with the rest of our craft bin to his aunt’s house, where will be staying while we wait for the build on our house to be complete. 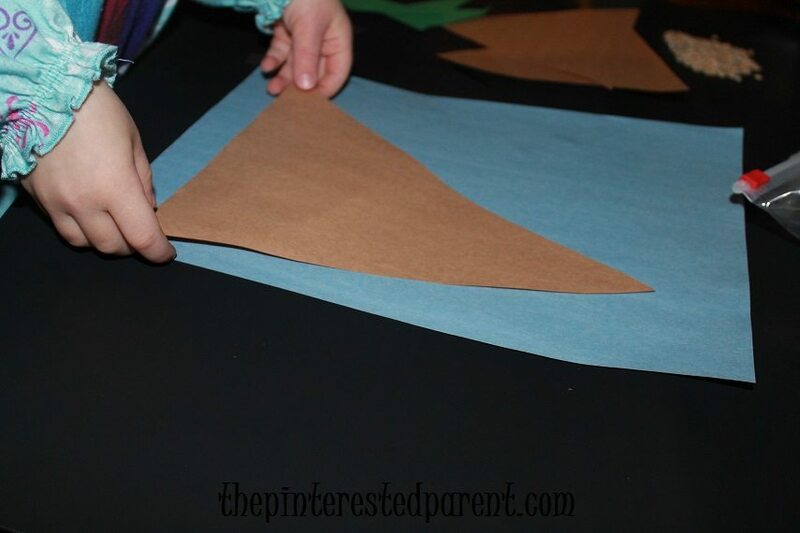 Cut the brown construction paper into 3 different sized long triangles. 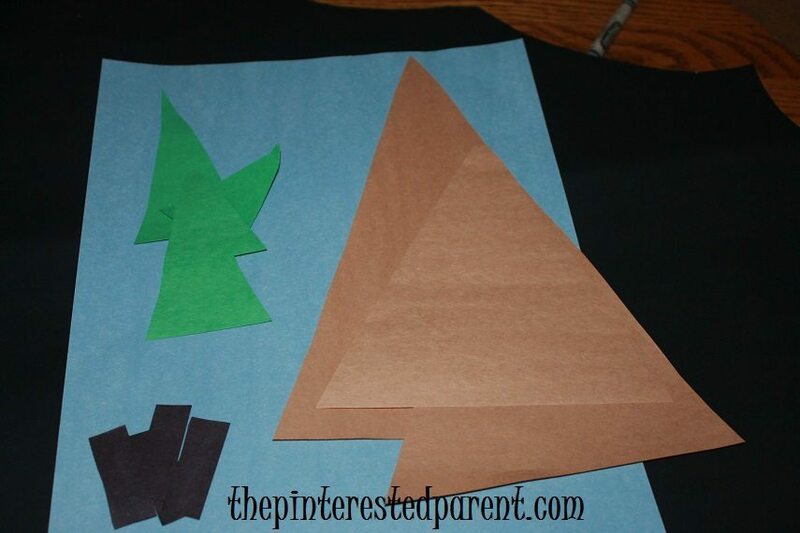 Cut the green into smaller triangles of various sizes. Cut as many as you like to form tree tops. 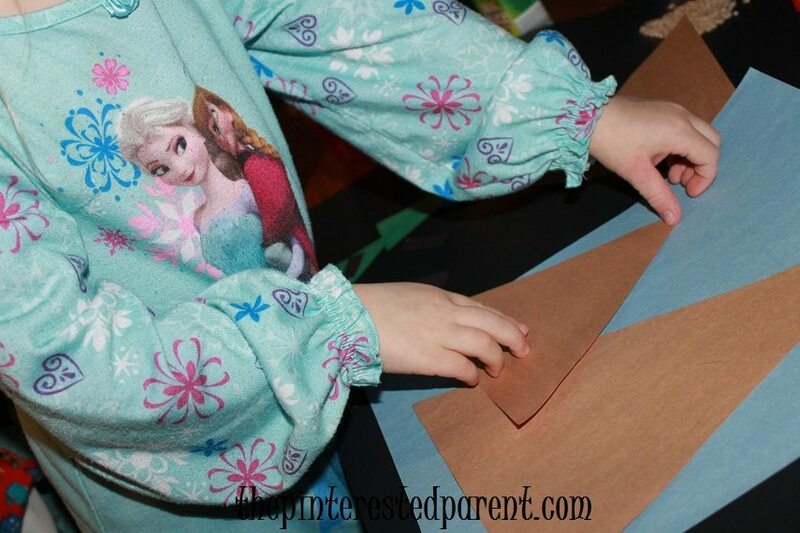 Cut black rectangles for your tree trunks. Glue the shapes into place. 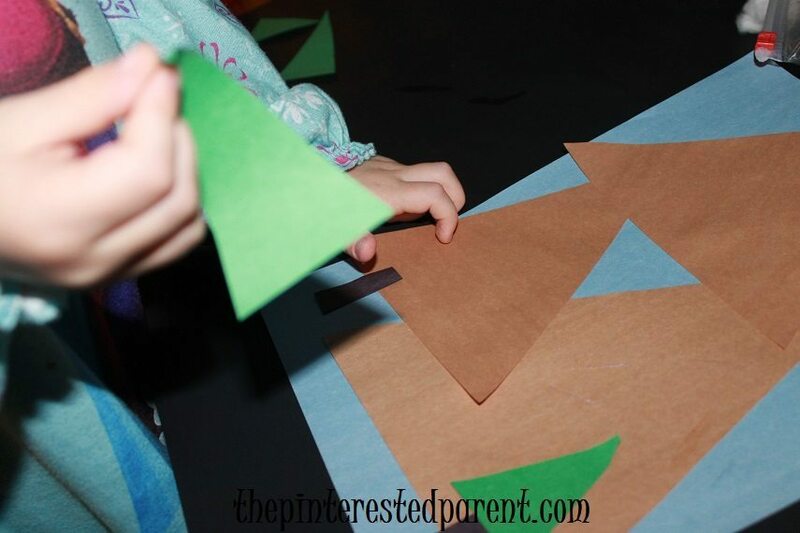 The brown triangles will be mountains, the green triangles will be tree tops & the black rectangle will be your tree trunks. Start by gluing the mountains into place first. 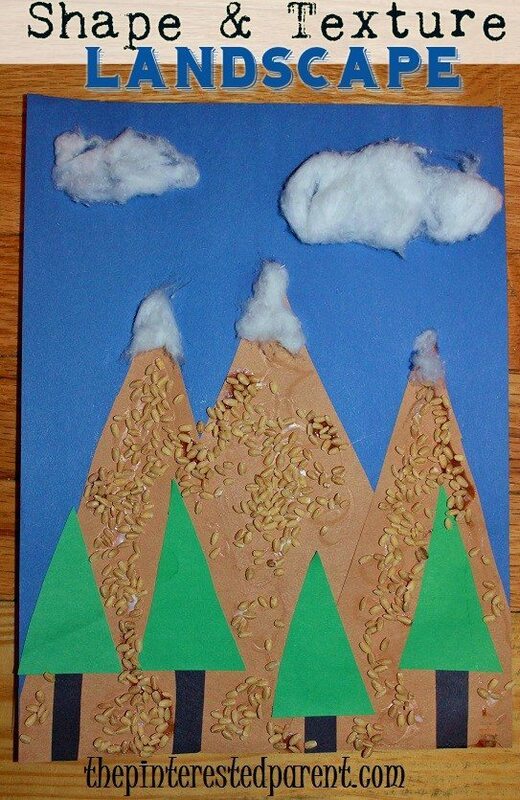 Glue the barley onto the mountains. Mai did hers one at a time. I poured the glue everywhere & then dumped handfuls of barley on & shook of the remaining pieces. Both worked quite nicely. 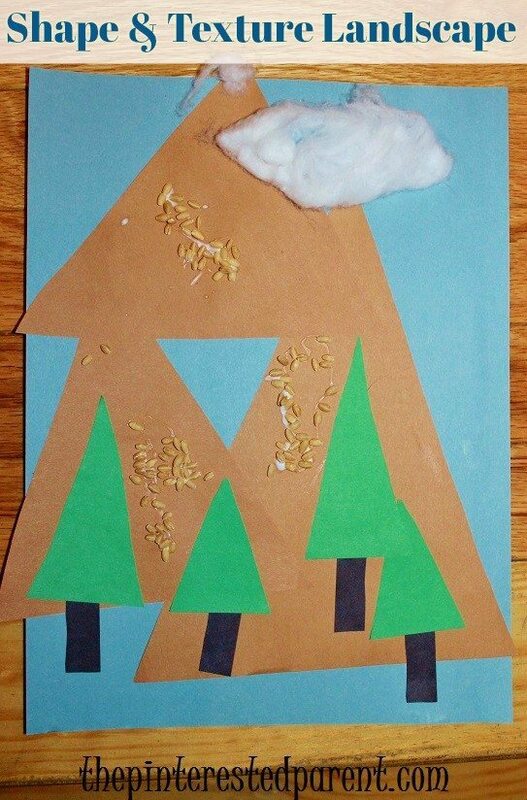 To finish off your landscape, stretch out cotton balls & glue them to your mountain tops & above the mountains to form snowy peaks & clouds. Mai always does really well with the shape crafts. She seems to like them bet, that and anything with glitter. Lol! 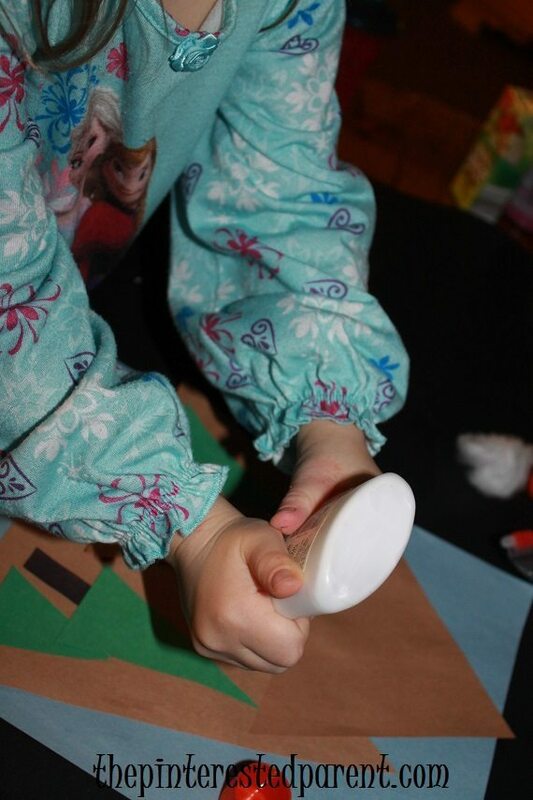 Thanks Janine, she loves the shape crafts. She did great with this one.